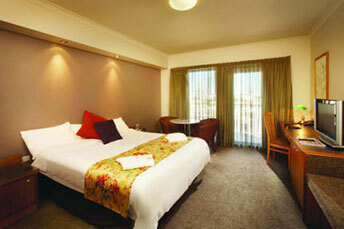 Esplanade Hotel is a 4 star hotel that is located in the central part of Fremantle and only 1.6km from Esplanade Park. The simple refined rooms have free Wi-Fi and flat-screen TVs with premium channels, plus a minibar and tea and coffee making facilities. It has a 24 hour front desk and room service. Breakfast can be purchased via the hotel for an additional $20 per person per day. Delegates can catch the 999 bus from Fremantle to Murdoch University, and then a short walk to the conference venue. 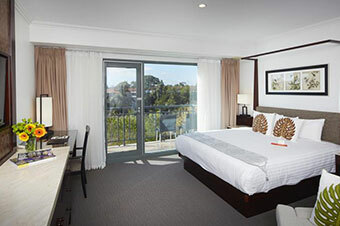 Pagoda South Perth is situated in the vibrant city of South Perth and just a 5 minutes’ drive from Perth’s city centre. All rooms are spacious with king bedding, LCD TV, Wi-Fi and coffee making facilities. The hotel is close to bus stops where delegates can take bus 31 and then 100 to arrive at the Canning Bridge Train Station. Once at the train station hop onto the Mandurah line and get off at the Murdoch Station. Delegates can then catch the 206 or 998 bus to arrive at Murdoch University. 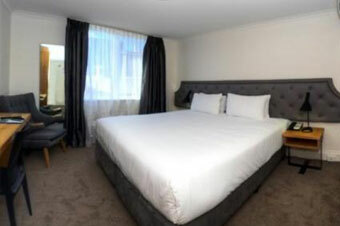 The compact rooms come with free Wi-Fi, flat-screen TVs, mini fridges and coffee making facilities. The hotel is within walking distance of the Perth Underground Train Station. Delegates can catch the Mandurah Line train and get off at Murdoch Train Station, to then catch the 998 or simply take a 12 minute walk to the conference venue. For other accommodation options in Fremantle please visit: www.fremantlewa.com.au/accommodation www.befremantle.com.au. WEL TRAVEL is a Silver Sponsor to the CSR Conference and has been able to negotiate special accommodation rates for the conference delegates. To book any listed accommodation options below, delegates will just need to email: operations@weltravel.com, using “CSR Conference Accom” in the subject line. Room rate : $190.00 per room per night (no breakfast). Breakfast @ $28.00 per person per meal. Room rate : $180.00 per night for a single occupant, includes daily transfer* to Murdoch on conference days, wifi, minibar, and breakfast. Additional occupant per room will incur a $20 charge per night, which will also include breakfast. Guests will have to advise uptake of transport option to Murdoch during their booking.